Leading fitness, detox and weight loss experts team together to review the PhuketFit weight loss program and "make it life changing". 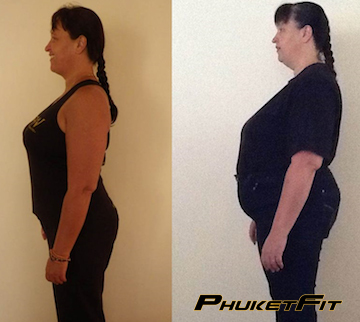 After reviewing the previous program for weight loss at PhuketFit, the team has now released whats being called "transformational", "incredible" and "very rewarding". "People all over the world have a unique opportunity to lose weight with PhuketFit's new program in Thailand," says a spokesperson from PhuketFit. The Thailand based resort, PhuketFit, has been featured in the press on numerous occasions over the last 30 days. Local reports gathered suggest that PhuketFit reviews and ratings have led to a rapid growth in popularity. As one previous PhuketFit guest puts it, "success breeds success". Richard Montague, 33 from the UK, commented, "With the support here [PhuketFit] I've been able to change bad habits which have kept me struggling with obesity for so long. The training and weight loss dieting has already helped me lose 9 kilos of fat and this is only day 20! I hope to have lost 15 kilos by the end of my program." "As much as 17 kilos have been lost within 28 days on this program," a PhuketFit team member tells us. PhuketFit have revealed that there has been an increasing demand sparked by media coverage and weight loss success stories. "We have great hopes for the future," comments a PhuketFit director. 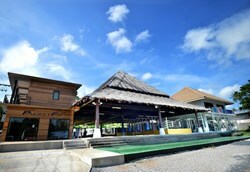 PhuketFit is the leading weight loss resort in Phuket, Thailand. With a team of committed professionals from around the world, PhuketFit has built up a reputation for helping their guests achieve their weight loss and fitness goals.